1. Cream together sugar and butter till well combined. 2. Then gradually add eggs and mix. Then the sifted flour, essences and baking powder. 3. Pour mixture into a cake tray and bake in a preheated oven at 180 for 20 to 40 minutes depending on the cake tin. 3. 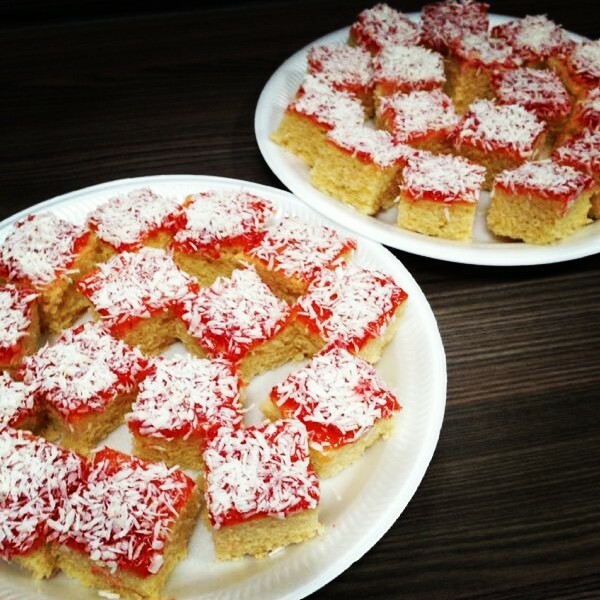 Once cool decorate with seedless jam and desiccated coconut. Note: try weighing your eggs if they’re large or too small to get a well balanced mixture.